Is there any gamer who hasn’t dreamed of having an arcade in their home? Sure, that might be more true for older fans than younger, but there’s just something about the idea. A classic stand-up cabinet, plastered with cool art and constantly blasting out visuals is just more fun than a console plugged into a TV. And that’s just the feeling that AtGames is playing off of with it’s latest. You might know that name from consoles like the Sega Genesis that came out last year. Or maybe from the original “classic” all in one releases like the Atari series. Whatever you think of those, it’s hard not to get excited about today’s announcement. The Legends Ultimate Home Arcade features 400 built-in arcade and home games, including Tetris and other legends from iconic publishers. As a full-sized home arcade machine, the Legends Ultimate Home Arcade offers a gameplay experience like no other. Each game plays just like at the arcade thanks to an authentic control panel that features a matching set of premium joysticks and six buttons for two player fun, as well as a professional trackball controller. The built-in, low latency, high definition 21.5” LCD monitor features HDMI inputs so you can display content from other consoles and media players on the same great machine. The built-in software is similarly impressive, with scan line filtering, an intuitive menu system, save and resume game functionality, and the ability to rewind a game in progress to recover from a play misstep. Yeah, I’m dying to see what this thing looks like. And if it lives up to the press release, then I definitely want one in my game room. I don’t know about you, but I’m particularly interested in those HDMI ports. I’ve wanted an arcade cab that I could run my consoles through since the NES. Seriously. 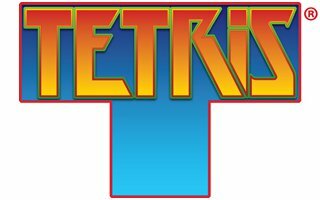 Additionally today, AtGames announced that they’re expanding their relationship with The Tetris Company. Tetris currently runs on the company’s Legends Flashback console, as one of the 50 bundled titles. And yes, it will be included on the above cabinet as well.